Custom code is a feature that allows you to include a custom codeable field in your code. This gives you the flexibility to setup a list of code options that are unique to your winery. This field is only available for selection when you use an Auto-Code Policy to create a wine batch (lot), bin, or gyro cage. Navigate to Winery setup > Work-flow > Custom Codes and click New Custom Code. In the Custom Code [Create] dialog, input a Name and Code that suits your winery. 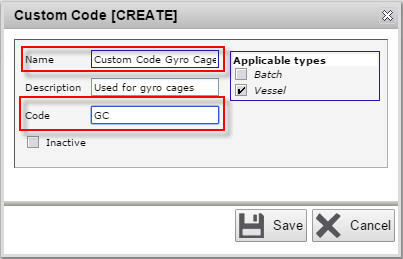 This example uses the custom code Name Custom Code Gyro Cage, Code GC and added a short Description Used for gyro cages. 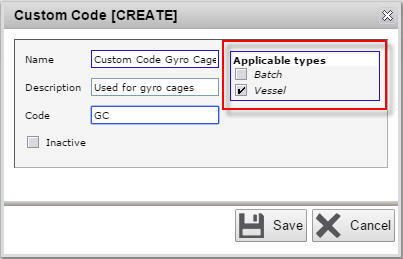 In this example, we will use type Vessel since we intend to use this custom code for gyro cages creation. You now have a custom code ready to use in an Auto-Code policy. 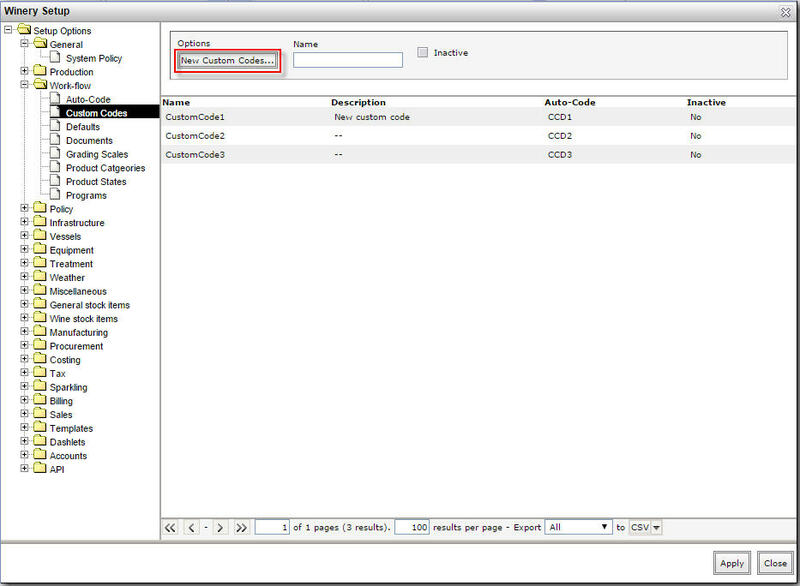 Click here to learn how to use custom code for batch (lot). Click here to learn how to use custom code for gyro cages.